Tate Britain is the national gallery of British art. It is no longer part of the National Gallery. 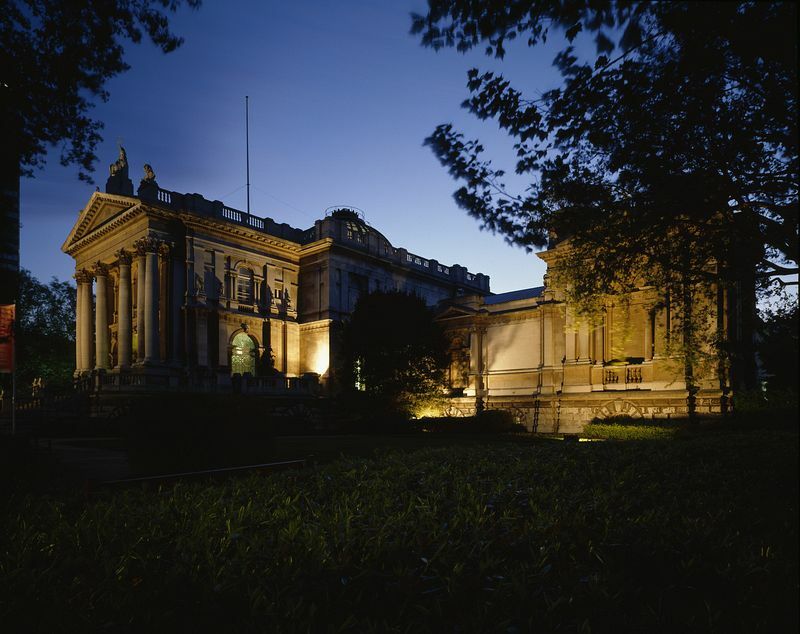 Today, Tate Britain is the home of British art from 1500 to the present day. located in London and is the world centre for the understanding and enjoyment of British art and works actively to promote interest in British art internationally. The displays at Tate Britain call on the greatest collection (The Tate Collection) of British art in the world to present an unrivalled picture of the development of art in Britain from the time of the Tudor monarchs in the sixteenth century, to the present day. and comprises the national collection of British art from the year 1500 to the present day. Some of the highlights of the Tate collection of British art include rich holdings of portraiture from the age of Queen Elizabeth I; of the work of William Hogarth, sometimes called the father of English painting; of the eighteenth century portraitists Gainsborough and Reynolds; of the animal painter George Stubbs; of the artists of the Pre-Raphaelite Brotherhood who revolutionised British art in the nineteenth century; and in the twentieth century of the work of Stanley Spencer, Henry Moore, Barbara Hepworth, Francis Bacon and the Young British Artists (YBAs) of the 1990s. The very latest contemporary art is presented through the Art Now programme and the annual Turner Prize exhibition. Special attention is given to three outstanding British artists from the Romantic age. Blake and Constable feature strongly in the displays, while the unique Turner Collection of about 300 paintings and many thousands of watercolours is housed in the specially built Clore Gallery. 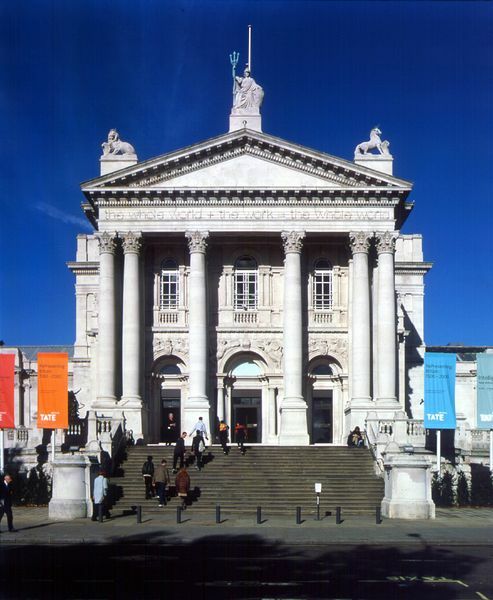 Admission to Tate Britain is free, but donations from visitors are needed to support the gallery's work. There may be a charge to visit exhibitions. 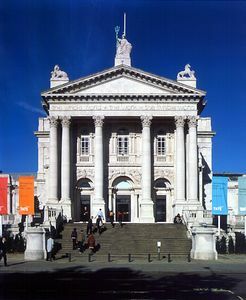 Tate Britain is located on the north bank of the River Thames at Millbank, south west of the city centre and not far from the Houses of Parliament. By Boat:Tate Boat runs every forty minutes along the Thames between Tate Modern and Tate Britain. By Underground: Pimlico (Victoria Line - 600 metres approx. ), Vauxhall (Victoria lines - 850 metres approx. ), Westminster (Jubilee and District and Circle Lines). By Car: There is a limited amount of pay and display parking in the streets surrounding Tate Britain (free at the weekends and after 18.30).